This handsome Guess watch boasts a navy blue multidirectional dial, rose gold toned indexes and textured wired outer dial, for a unique and contemporary design. 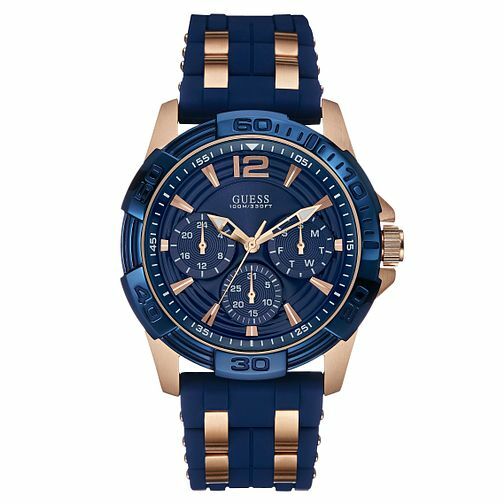 Guess Men's Blue Silicone Strap Watch is rated 5.0 out of 5 by 1. Rated 5 out of 5 by Anonymous from Absolutely beautiful Nice solid beautiful watch. Worth every penny. Lovely colour, large face pretty wrist band. Thanks H Samuel!